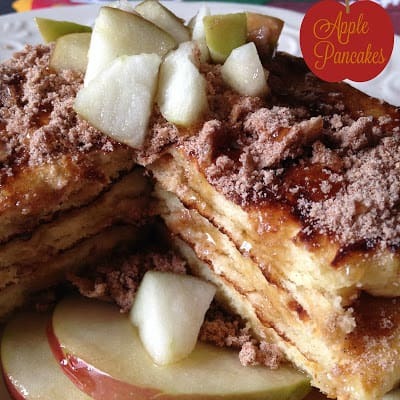 Apple Pancakes with Streusel Topping are Delicious! Not only are Apple Pancakes with Streusel Topping Delicious..they are easy to prepare using a boxed pancake mix or you can use your favorite pancake recipe. Simply add one chopped apple to the pancake batter, ladle batter on hot griddle, cook pancakes until top is bubbly and flip. Mix together streusel topping ingredients. Place hot pancakes on an oven-proof plate and top with streusel topping. Place under broiler and broil until topping is buttery, caramely and crunchy. Simply delicious. Serve with additional sliced apples, maple syrup and pats of butter. 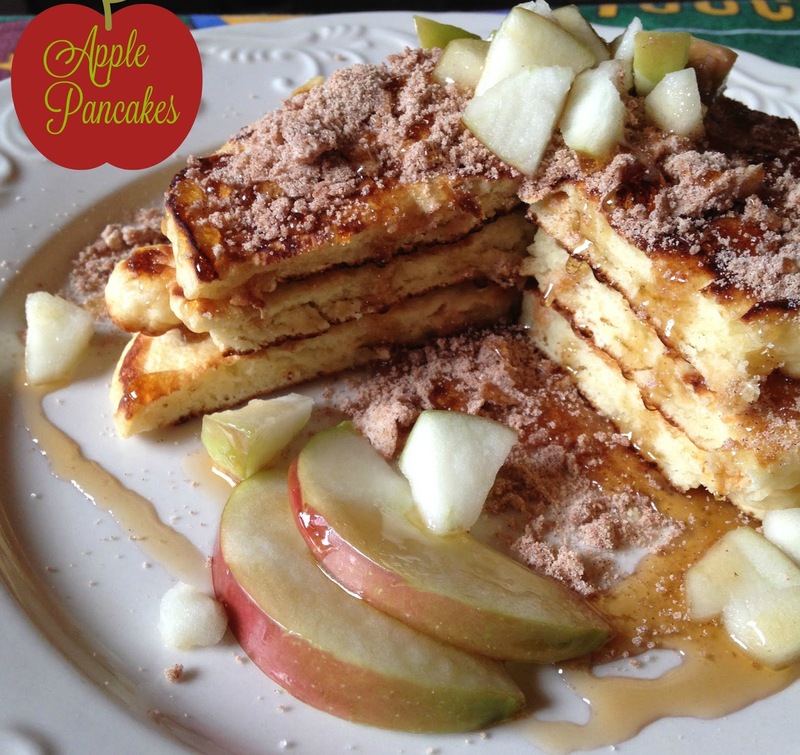 To change things up a bit, you can also serve these pancakes with Fried Apples. Prepare streusel topping; In a small bowl, mix together flour, brown sugar, oats, salt, and cinnamon. Cut in butter until mixture resembles coarse crumbs. Set aside. 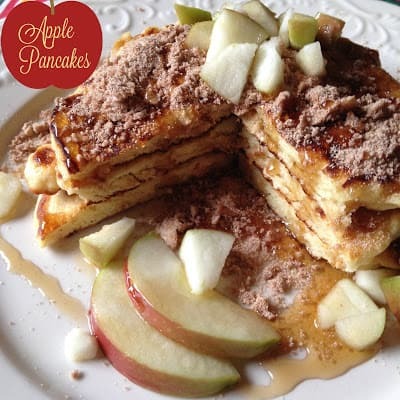 Prepare your favorite pancake recipe or use your favorite boxed pancake mix, prepared per directions on box; add diced apple to pancake batter. Stir well, let batter sit for 5 to 10 minutes. Heat griddle to 350º F. Spray with a non-stick cooking spray. Ladle pancake batter onto hot griddle. Turn pancakes over when surface bubbles appear, flip over and cook until golden brown. 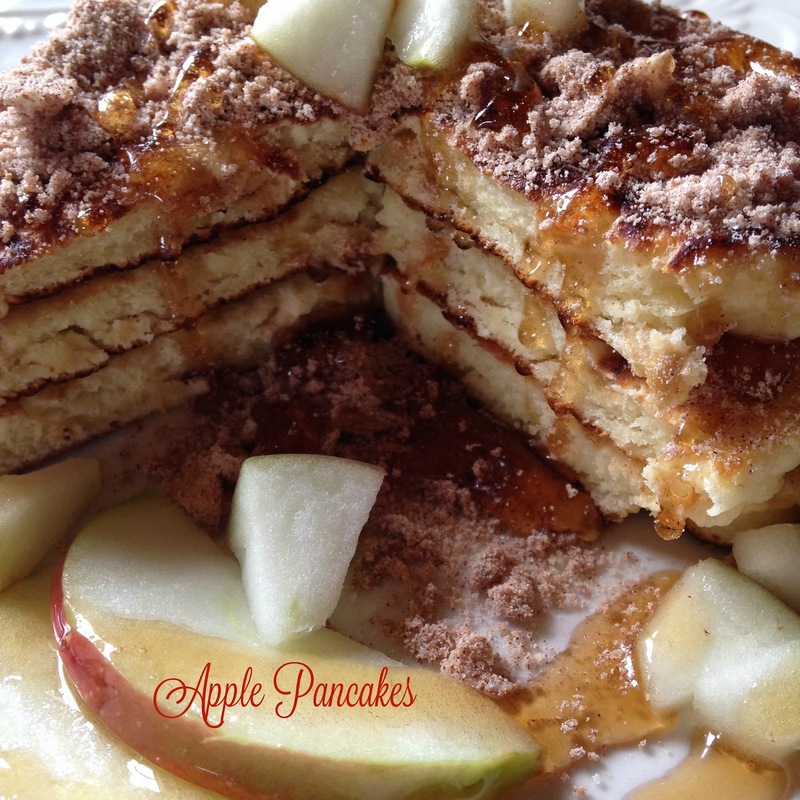 To serve: Place hot pancakes on oven-proof plate, sprinkle with streusel topping. Set oven to broil, place stack of pancakes on oven rack, 6 inches under broiler, broil for 1 to 3 minutes or until brown sugar and butter melt. Watch carefully! Serve with maple syrup and extra chopped apples.